To set up a GTM trigger to fire on custom events I need to specify an Event name. Is there a default name I can use? 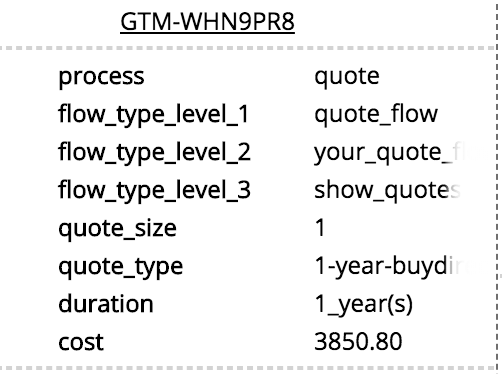 Or is there any other GTM trigger I should consider instead? Attached is a screenshot of what the message looks like using DataSlayer chrome extension. Yes, you can by using HTML data attributes. When adding them to you HTML Markup you can automatically trigger events. I love this solution, but it comes with a downside: GTM is very picky what item you did click. So I created a jQuery script to look for the closest. Does work like 99%. Of course not when JS is disabled. As far as I know it is not possible to trigger a tag on a custom event from the data layer if the Event name is not in the object pushed in the data layer. An alternative is to set up a trigger using Element id or Element class. Not the answer you're looking for? Browse other questions tagged google-analytics analytics google-tag-manager data or ask your own question. How to link a Google Analytics “contact us” event with a later event when they become a customer from a custom URL sent to them? Google Data Studio - How to get percentage of users who performed an event? How to assign the first user referer (source / medium) to an event with GTM and GA? Data Layer Variable return Type & Value showing Undefined in Google tag manager? How do you trigger a Google Analytics event for section scroll using Google Tag Manager?